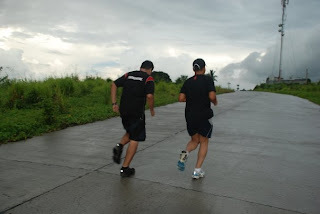 The Mizuno run was my first activity after my two weeks of absence in my run and bike training. It was a good run, however, this time I think I injured my right knee. 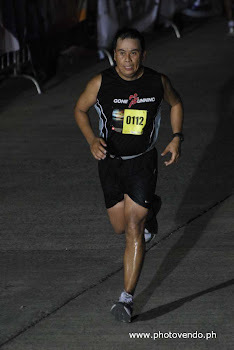 I think I had this on my way down at the Kalayaan Bridge during the Mizuno run. Believing that it was just a sore muscle, I decided to cross train using my bike last Monday (June 8). 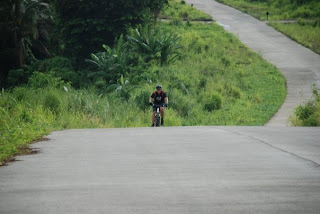 I was suppose to do a trail ride in the usual “upac” and “duck trail” in the morning, but since I will be riding alone, I decided not to and opt for the cardiac hill. 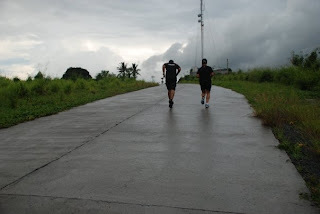 Luckily, Runner45 (Mhel) and my bike buddies (Zaldy and Ed) planned to train at the cardiac hill in the afternoon and advised me to join them instead. It was raining that day, and I was thinking that they will not proceed but Zaldy confirmed that they will go if the rain stops. Luckily it stopped but it was dark at 4:30 pm. 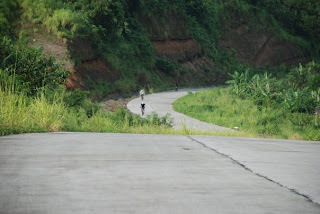 I then got up and took my bike and ride from my house up the cardiac hill (5km). I was there ahead of them so I decided to traverse the other side of the hill, on my way back, I saw the guys arrived. 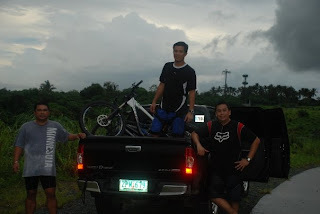 I took a rest while Zaldy and Ed set up their bike and Mhel stretching preparing for his run. Then off we went to try the uphill climb which is a 1km ride. My knees were just fine and didn’t felt the pain. This is the first time that I will get a time trial for this training. Will use these data as my benchmark and hopefully see improvements in my next try. It was good to cross train as I get to exercise without worrying about my knees. 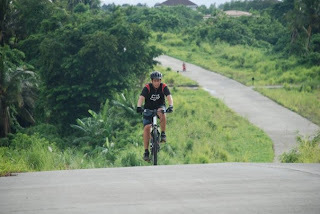 Biking definitely has less impact than running, but it helps me to be stronger when I do my biking especially on uphill. Good thing with biking, it helps me improve my endurance and stamina as well. 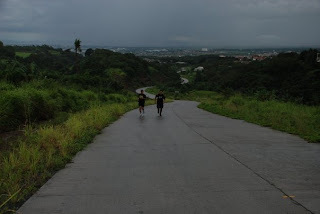 I tried to join Mhel in his last 200m of uphill run, but I just cant finish it to the top as I can feel the stress in my knees, but the short 200m was a good try. Hopefully someday I would be able to try running the hill as well. Hey looks like you had fun there. Nice pics too! :) Are you prepping for an eventual foray into tria as well? Thanks for sharing! Thanks Luis, yah, it was fun..